James Buttersworth commemorates one of the trial races to determine which American yacht would defend the America's Cup in 1893. Notice the crew on Vigilant's foredeck preparing to hoist a sail as the yacht leads Jubilee, Pilgrim, and Colonia. After a summer of such trials, Nathanael Herreshoff's Vigilant was selected to represent the New York Yacht Club in defense of the cup. 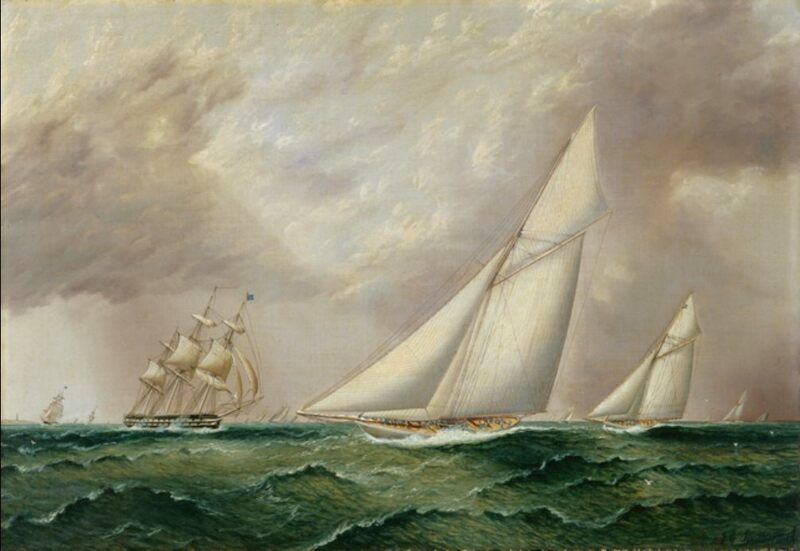 Even by 1893, when photographers like Edwin Levick and James Burton were documenting yachts and important regattas, there was still a viable market for paintings by artists of Buttersworth's caliber.